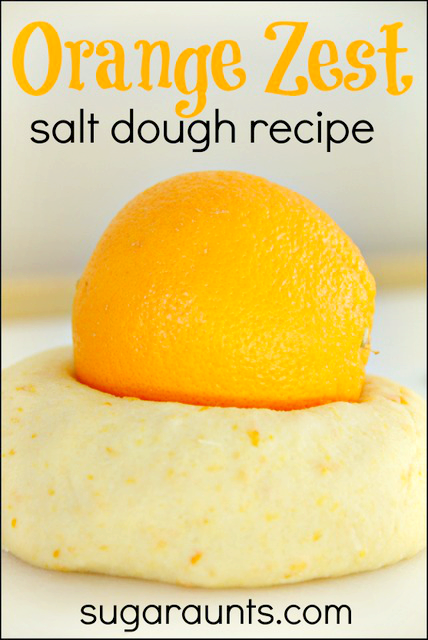 We love a fun salt dough recipe. 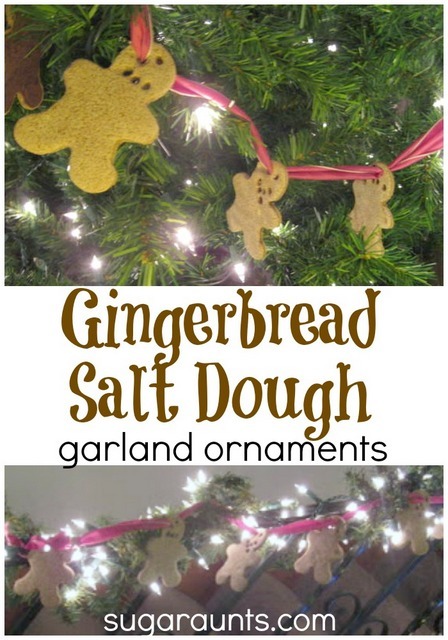 From orange zest salt dough to gingerbread salt dough...these are a fun way to play and create. 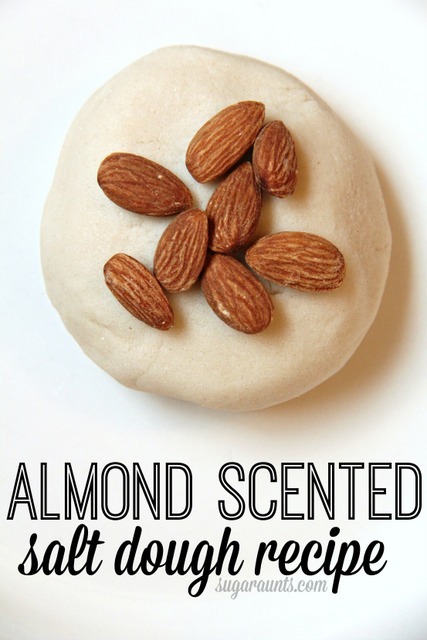 This time we wanted to try another scent in the salt dough arena (okay, we actually experimented with TWO scents this time...) and tried an Almond Scented Salt Dough AND a Peppermint Scented Salt Dough. Christmas is the perfect time of year for salt dough. This dough is great for molding and cutting ornaments from. And the memories that you'll have each year as you decorate the tree are well worth the salty hands and sticky counter tops you get from making these doughs! It's important to note that all doughs come together differently. Different flour, slightly different measuring techniques, different kneading skills...all make a difference when it comes to mixing together doughs. This recipe came together as described. You may find slightly different results, but play around with your dough. If it seems too sticky, knead it and add a bit more flour. If it seems too dry, knead and add a small amount of water. Always add additions in very small incriments and knead before adding more flour or more water. 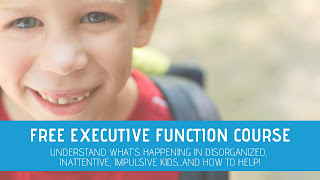 Whatever your result, it will be a fun sensory experience with the kids! 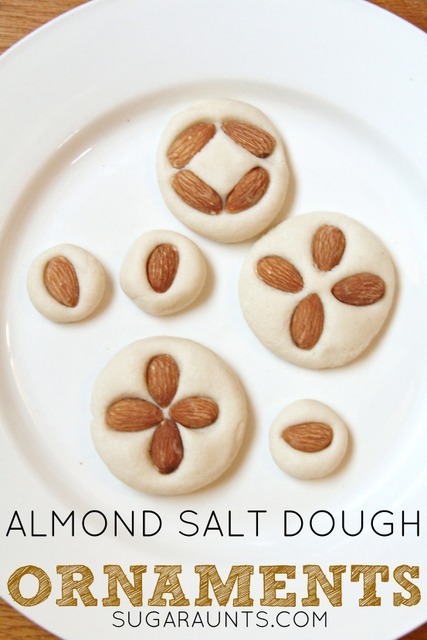 To make this almond salt dough, we started with our standard salt dough recipe. Once the dough was mixed together, we poured in a shake or two of almond extract . 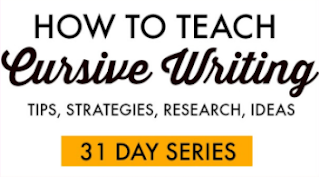 (Like those exact measurements?) It was probably about a teaspoon of almond extract, but you can add what seems good. 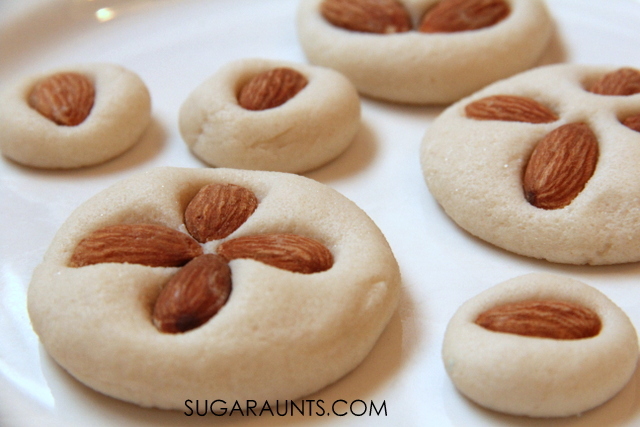 You will need to add a bit of flour after adding the liquid almond extract, to take the stickiness away when kneading. Be sure to flour the counter top surface before kneading in the extract and keep kneading until the dough becomes smooth. Warning: this dough smells AMAZING. 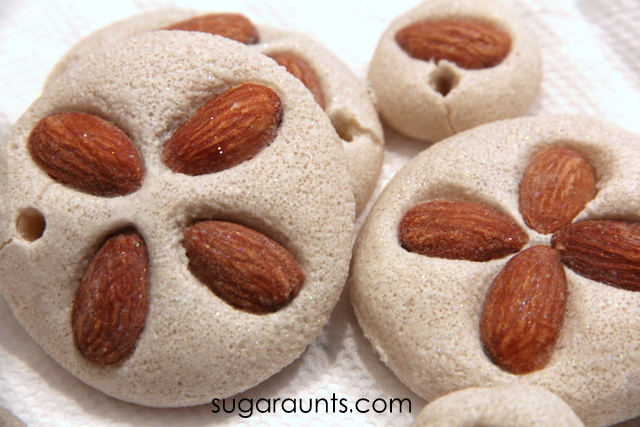 Like almond cookies that you will want to eat. Refrain yourself and just enjoy the almond scent. Next, we molded circles of salt dough with our hands and flattened them down a bit. 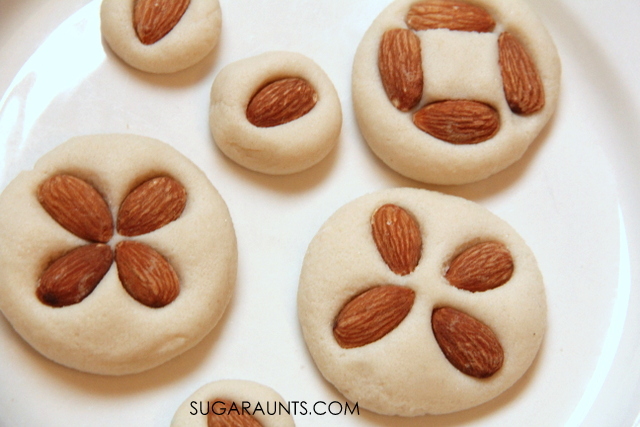 We pressed the almonds into the dough in designs or just strait into the dough. 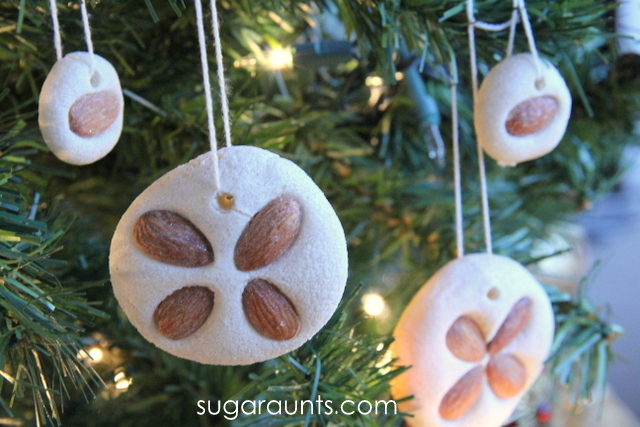 You certainly don't need the almonds in these ornaments, but it was fun for us to add them in. At this point, you'll want to poke holes in your ornaments. I used a chopstick to do this. Bake the dough at 200 degrees F for about 20 minutes. Then, turn off the oven and let the ornaments sit in the warm oven. When it's time to make dinner, or you need the oven for something else, pull them out and let them sit overnight. It may take an extra day to completely dry, depending on how thick your ornaments are. At this point, I sprayed our ornaments with glitter spray . This glitter spray is permanent, so be sure to spray on a napkin or other surface. I wanted to use the glitter paint to seal in the almond and keep the skins from flaking off. So far, it's holding up well on our tree. We'll see how they stand the test of attic storage by next Christmas. Add a bit of string to hang your ornaments (We used embroidery thread provided to us by www.craftprojectideas.com). 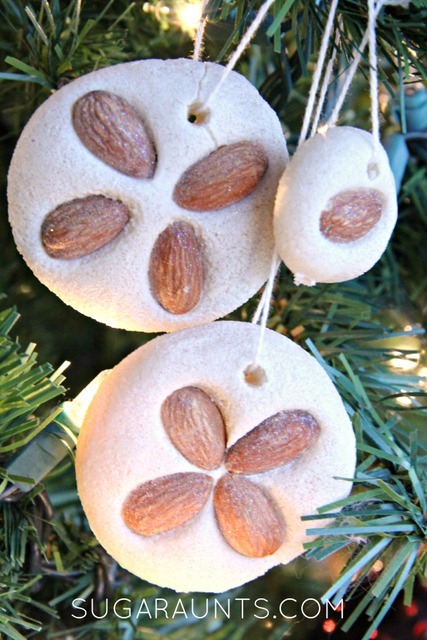 This was such a fun ornament to make that we had to try a different version with the same dough and a different scent that we had in our pantry. 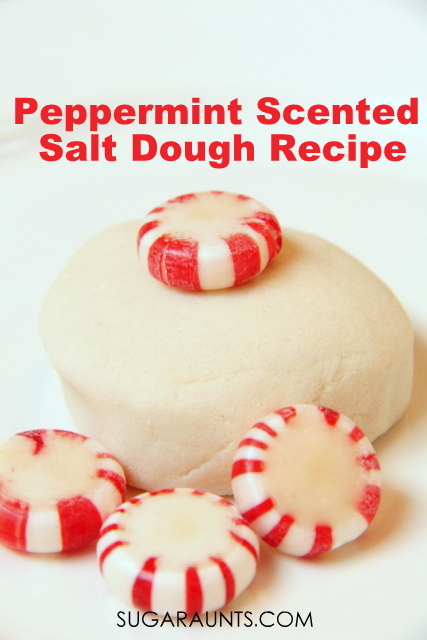 We made this dough with the same technique as above, only instead of adding the almond extract to our standard salt dough recipe, we added peppermint extract . This dough smelled equally amazing and was such a fun sensory play material to just manipulate and explore. 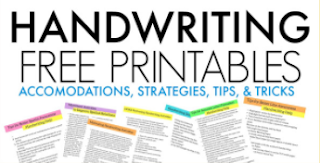 Its a great activity for the Christmas season! 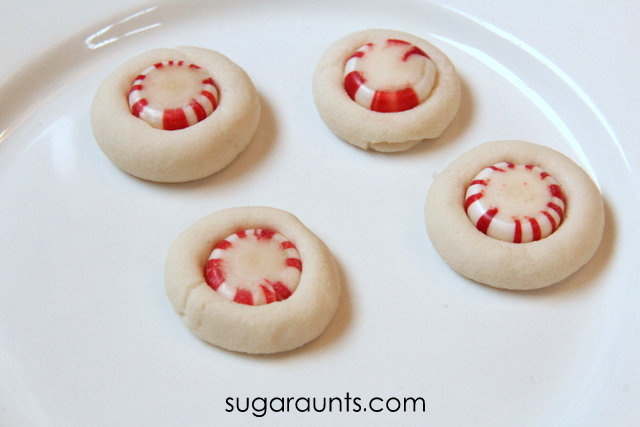 Of course we had to experiment with peppermint candies in our dough. 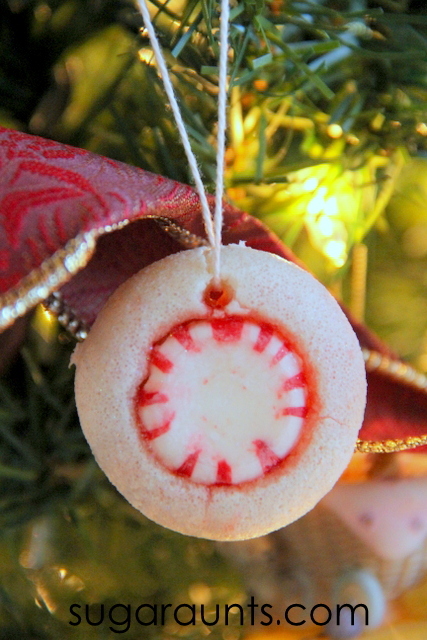 We used a sugar free version because that's all we had in our house at the time, so I'm not sure how the regular peppermint candies would work in this ornament. We did cook ours in the oven for about 20 minutes like we did in the recipe above, and it turned out melting the candy just slightly to keep it attached to the ornament. 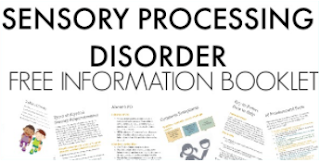 This post is part of the 12 months of sensory dough series.